I have been in the beauty industry for over 20 years. I began my career in the fashion industry and quickly realized beauty did not end at the neckline. Fashion apparel compliments and completes the total look. Hairstyle and cosmetics make the first impression. Together the total look define who we are! I am a Cosmotology Educator & Stylist in Boston. I have an Associates Degree in Fashion Merchandising. I continually learn from those who inspire me. Thank you to all who do! It is wonderful to be young and beauty is so simple. As the years pass by and as we mature we may need a little assistance to turn back the hands of time; maybe a new color, high-lights, or a grey reduction introducing you to color, keeping us youthful and our appearance attractive. I hope this website inspires you and contributes to all your beauty needs! The “Oval Shaped Face” has many choices. The jaw is narrower than the cheekbones and it is longer than wide. The oval shaped face has no dominant areas and is so proportional, this face looks good with just about any hairstyle, texture or length. The Round Shape Face” should avoid width. This face has fullness beneath the cheekbones and a wide hairline. The client may be overweight and the neck appears short. Add height or long wispy sides to make the cheeks look narrow. Comb the sides and nape close. A geometric style looks good. The “Diamond Shape Face” has a narrow chin and forehead with wide cheekbones. Bobs work very well. Avoid height on top or volume on the sides. Use some fringe or bangs to cover narrow forehead. The style should have narrow sides and fullness at the chin. such as bangs to disguise its width. Keep the hair close to the head at the eyes, however, make it full around slightly. Add the volume at the chin. The “Pear Shape Face” should have volume above the jaw line. The forehead is small or narrow and a rather large appearing jaw line. The hair should be combed to add width from the eye level through the crown of the head. Comb or set the hair close to the head on the sides and at the nape. A) Elongated 4 1/2" solid stainless steel tip that fits foils perfectly for easy application. B) Measurement System- markings on the metal tip that will assist creating uniform weaves when foiling everytime. Shaded markings at 1/4", 1/2", 3/4" and 1" for precise measurement. Finally a tool we use daily for foiling highlights creating precise weaves. 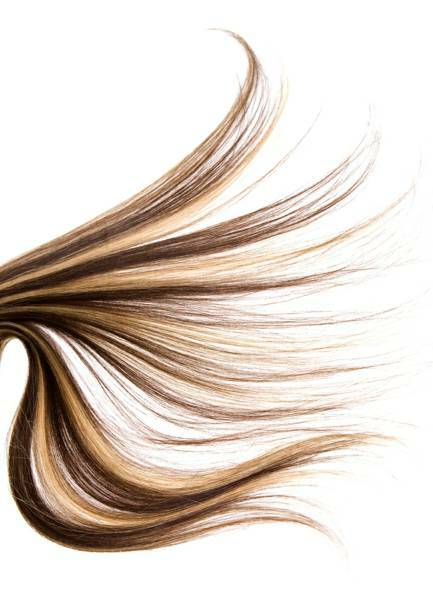 C) May be used for Hair extensions creating accurate sections for easy hair application. Remove any fear of breakage at the scalp. Uniform tension. D) The teeth were designed with the use of one comb in mind. Not two. Fine teeth to small. Wide teeth not enough tension. The teeth were designed between the two and works great with every texture. E) Durable and workable. 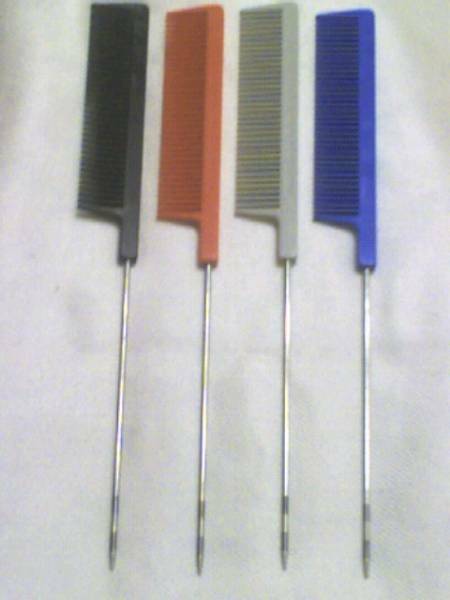 A comb made by a Stylist for Stylists. F) Made in the U.S.A.
begin with the best tool at a great price! Private Classes available upon request. Inspire yourself or salon staff to confidently discuss, formulate, mix and apply Hair Color. In Salon Training. As the seasons change and the temperatures warm up from Winter to Spring and Summer it's a great time for everyone to brighten up their look! 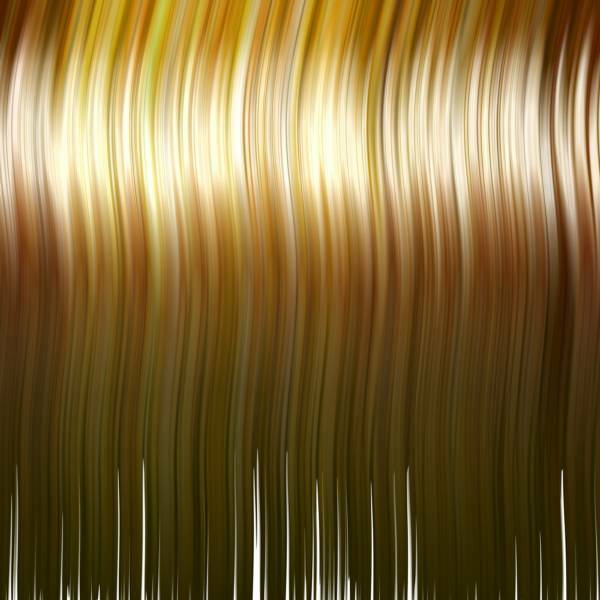 As the weather warms so will the most popular haircolors with golden brunettes, vibrant redheads and platinum blondes.